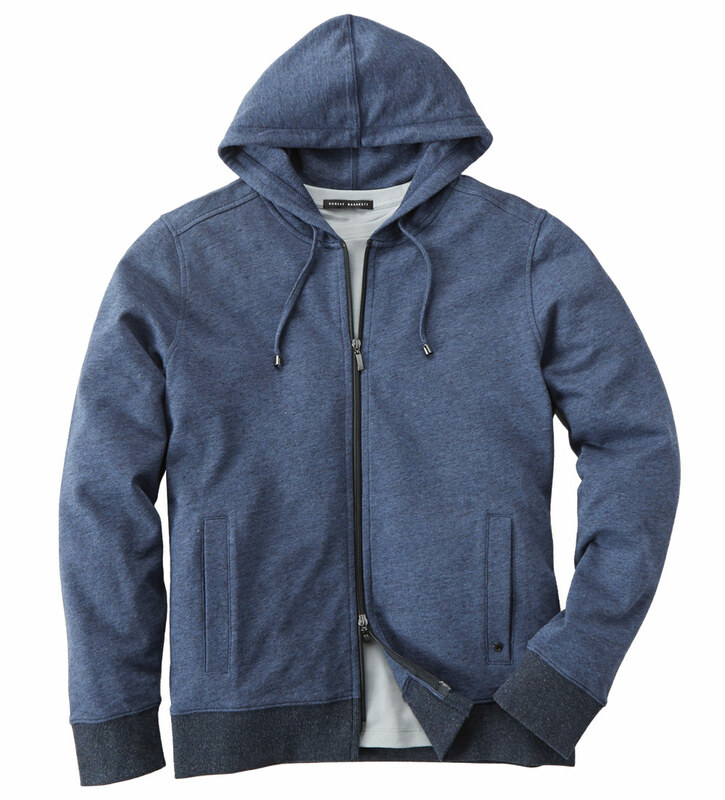 Heathered French terry of softest, 100% cotton. Long sleeves, two-way zipper, drawstring hoodie, welt pockets, gunmetal details. Machine wash. Imported.